Mac McLean has been a Certified Tax Specialist for over 20 years. He has been selected by his peers for inclusion in The Best Lawyers in America© in the fields of Litigation - ERISA and Litigation - Trusts and Estates. Mr. McLean works primarily in the areas of estate planning, corporate tax planning and retirement program planning. Financial institutions and trust departments call on Mr. McLean for help in dealing with the proper handling of estates and trusts, and in actions in probate court to construe the provisions of trust documents. In estate planning, Mr. McLean advises large and small estates on tax and probate opportunities that can minimize tax and probate costs, including life insurance trusts, family partnerships and charitable lead and remainder trusts. In business tax planning, McLean advises clients in asset sales, mergers and acquisitions and corporate reorganizations. He recently guided a successful management buy-out of a multimillion-dollar company engaged in software development for the healthcare market. 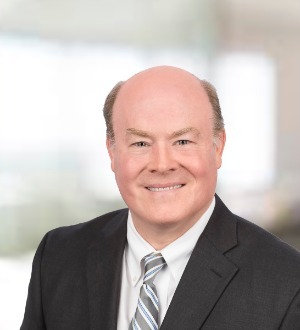 In the retirement planning area, Mr. McLean advises clients with respect to requirements of the Internal Revenue Service and the U.S. Department of Labor, and particularly the Employee Retirement Income Security Act (ERISA). He has assisted clients in addressing and solving their contribution-testing issues, including participation in voluntary correction programs, and in handling retirement plan issues arising in mergers and acquisitions. He has significant experience in structuring retirement plans for governmental bodies—including plans that provide specific groups of employees with the ability to make elective contributions in excess of regular deferral limits.